Since 1991, Rebkee has emerged as one of the most respected real estate development and investment firms in the Mid-Atlantic. 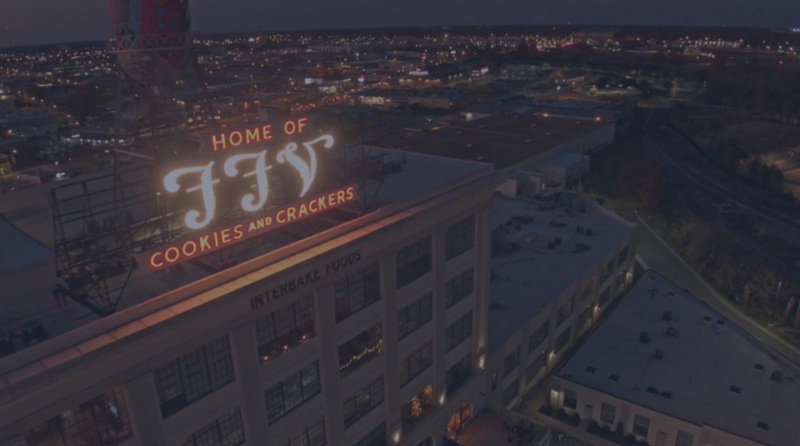 Headquartered in Richmond Virginia, we’re driven by our entrepreneurial spirit, a relentless focus on real estate and an agile approach to developing projects that create value for our partners, investors, customers and communities. Rebkee currently owns and manages a diversified portfolio of high-quality retail, single tenant and mixed-use assets throughout the Mid-Atlantic. We find and focus on solutions. We question the status quo. We try to see what others don’t. For over 25 years, we have developed or repositioned over 5 million square feet of commercial space. From acquisition or development through property operations and asset management, we consistently create long term value through a commitment to excellence in execution, an uncompromising attention to detail, and an innovative approach to our business. As long-term owners, our focus is core and opportunistic properties located in convenient and community oriented locations. Our project size varies from large mixed-use developments to single tenant sites throughout the Mid-Atlantic. With each acquisition, we’ve balanced a well-capitalized approach with a keen focus on speed and successful execution. Rebkee actively seeks opportunities to partner with growing tenants looking to expand. Our platform provides turnkey development services that can include the entire spectrum, from strategic planning/site selection to construction management and final occupancy. This combined with our financial experience allows our clients to focus on their core business. Our clients include large national retailers such as CVS Health, Patient First, Wawa and Aldi as well as local businesses looking to expand into new markets. We pursue projects where we can leverage our experience on properties of all types and sizes. We partner with landowners, cities and tenants to transform the areas we live in and create environments that foster convenience, connectedness and community. From local grocery anchored retail to large scale mixed use, we look for assets located in strategic locations within high barrier-to-entry markets and strong demographics. We are a team of strategic investors. We are entrepreneurs, diligent planners and seasoned professionals that focus on successful execution. We work together to see a need, discover a solution, and execute. Our focus is our customers and exceeding their expectations. Rob is a Principal and Co-Founder of Rebkee. Since 1991 Rob has been involved with numerous types of real estate development throughout the Mid-Atlantic including single and multi-tenant retail, adaptive reuse including historic tax credits, office, land, and multifamily. Rob is active in the International Council of Shopping Centers (ICSC) and has served as the Virginia State Director. Kevin is a Principal and Co-Founder of Rebkee. Prior to Rebkee Kevin was Vice President of Commercial Lending with Bank of America, where he developed a commercial lending portfolio with responsibilities that included the management of loan document negotiations, site assessments, economic feasibility analysis, entitlements, construction draws and the development process. Prior to Bank of America, Kevin was Vice President for Sanwa Bank in Los Angeles, California where he was responsible for the production of commercial real estate loans throughout Southern California. Dan is a Principal with Rebkee. Dan joined Rebkee from Archon Group, a wholly owned subsidiary of Goldman Sachs Group, Inc. While at Archon, Dan sourced investment opportunities on behalf of a series of real estate opportunity funds. Prior to Goldman Sachs, Dan worked with Thalhimer, Cushman and Wakefield. At Thalhimer he conducted site selection for tenants that included Wal-Mart, Home Depot, CVS Health and Food Lion. Dan serves on the board of directors of Chesapeake Bank, and the board of visitors of Christchurch School. He is a member of the Richmond Real Estate Group and the VCU Real Estate Circle of Excellence. If you’re interested in partnering with us, please reach out.